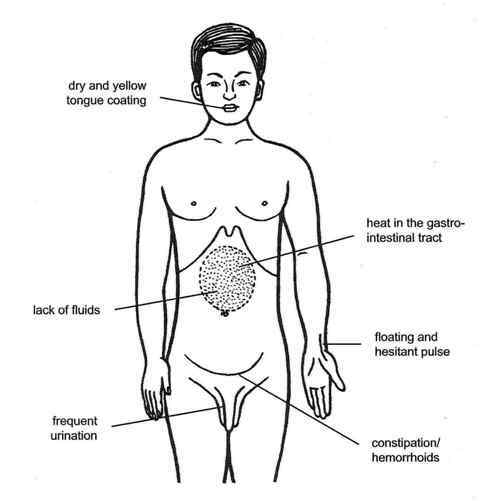 Traditional: Dry heat in the Stomach and Intestine accompanied by insufficient body fluids marked by dry and hard stool, difficult bowel movement, frequent urination, a dry and yellow tongue coating, and a floating and hesitant pulse. This condition typically occurs in the elderly or in physically weak individuals who have dry skin and lack adequate body fluids. Modern: Habitual constipation, constipation in the elderly, postpartum or post-surgical constipation, incomplete intestinal obstruction, and hemorrhoids.